Somewhere out there we all have that one doppelgänger who’s probably thinking the same, but the odds are pretty thin of running into one. 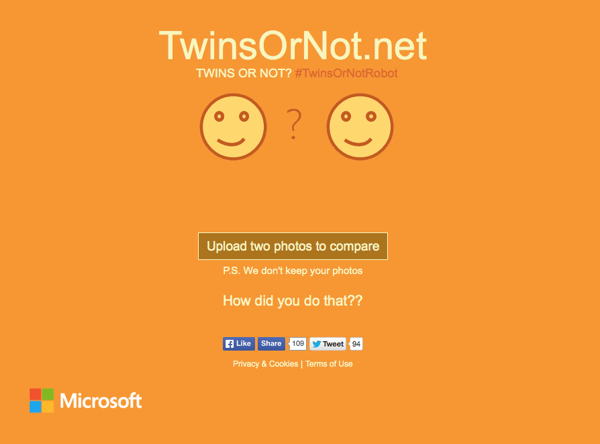 However, lose resemblance to someone else is not a rare phenomena and if you really wanna know if you and this other person look alike, Microsoft’s new project called Twins Or Not will help you get that second opinion. 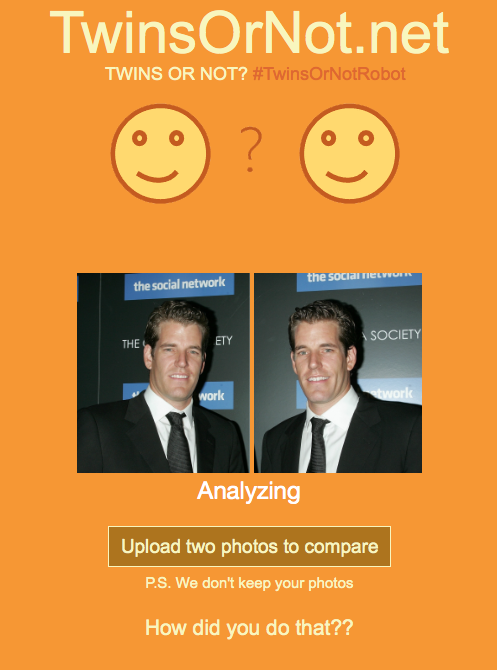 The Internet literally went crazy when Microsoft launched a little side project of its own that told users how old they looked after analyzing an uploaded photo, which in most cases was never their own. 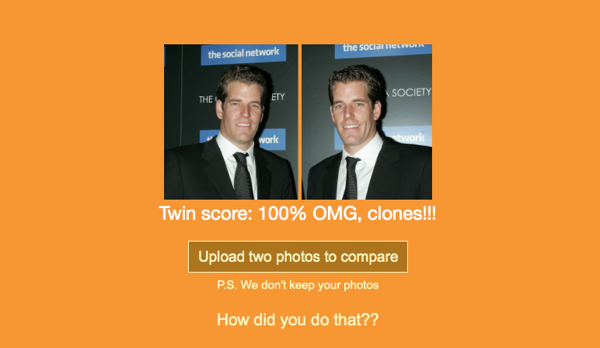 In a similar fashion to that, the software giant has now launched Twins Or Not showcasing face-detection algorithms called Project Oxford which was also used for its How Old site, coupled with Microsoft’s Azure technology. Building on the first face-detection tech which detected your age, Microsoft’s new project is said to be more accurate than the earlier one. And while the accuracy is commendable, the software giant is using these opportunities to showcase just how easy it is to implement the company’s face-detection algorithm in projects for developers. In fact, the website’s developer Mat Velloso created the entire project in under four hours. Given the reach and speed of these developments, Microsoft is likely to see a quick and considerable improvement to its algorithm with the company employing machine learning. Microsoft has taken a serious turn from its traditional activities since a year or so with some aggressive and quick reactionary developments in the effort to keep up with the fast changing technologies and user patterns. One huge example is the Windows 10 philosophy, which Microsoft claims will be the last version of Windows ever and will now be treated as a service with timely updates on way to becoming a universal OS for all Microsoft devices. Windows 10 hits our PCs on the 29th of July, but till then, users can try and figure out if the look anything like Mr. T or maybe Dumbledore. It’ll be a surprise if this experimental website does not go viral like its predecessor given the insane social media craze it can trigger.